Since 1986, the certified contractors and roofing specialists at AABCO Roofing & Siding have been helping residential and commercial property owners keep their properties and roofing in perfect working order! 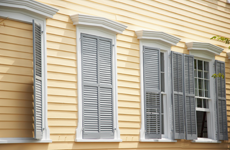 We provide skilled, detail oriented and well-supervised craftsmen with a minimum of 10 years experience to perform all your exterior renovation needs. With fully certified installers and emergency services on all repairs, Aabco Roofing provides a 100% written guarantee on all roofing services. Aabco Roofing is trained and equipped to install all roofing systems and products available on the market today. From asphalt shingles and wood shakes to slate, tile, metal and synthetics. In addition, we install all flat roofing membranes including modifieds, hot asphalt, single plies, standing seam metal and spray on polyurethane foam. There is no job too big or too small for the fully certified and insured installers from AABCO Roofing & Siding! 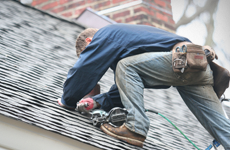 Make AABCO Roofing & Siding your first call! Only accept the best for your home. Trust AABCO Roofing & Siding for all your siding needs! AABCO Roofing & Siding has many years of experience providing masonry and tuck pointing services to our clients in Hinsdale, IL. Only accept the best for your brick and stone. Trust AABCO Roofing & Siding for all your masonry and tuckpointing needs! 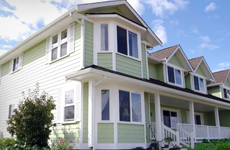 Make AABCO Roofing & Siding your first call for all of your gutter & soffit needs! Attention to detail is required to trim and finish any project. From clean square corners to a smooth bead of caulk. These are the details we provide and insist on on every project. Leaf protection systems available in the past have only been marginally effective and are flawed in some way. Most are cost prohibitive, extremely visible or inadequate. RainFlow has produced a product that is both economical and effective while totally hidden from site. To read more about RainFlow please click on their link. Call today for a FREE estimate on your gutter or soffit installation, repair or maintenance! Only accept the best for your home. Trust AABCO Roofing & Siding for all your gutter and soffit needs! We can provide most any detail on your home in copper. From the roof caps and flashings shown here to gutters and downspouts and decorative accents. Skylights are nice addition to any project. These Velux skylight shown in the picture below are exceptional. They come in all the standard sizes with matching curb flashing or can be special ordered to fit most an opening. Proudly serving Hinsdale, Illinois and the surrounding area including Oak Brook, Downers Grove, Western Springs, Lagrange, Burr Ridge, Clarendon Hills and more.